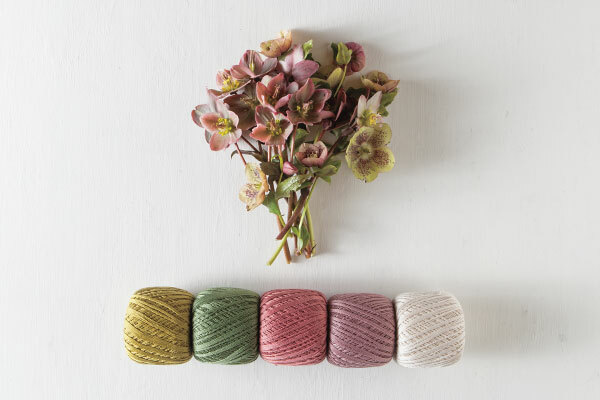 Lustrous, elegant, and versatile – Curio is sure to be your favorite new crochet thread! 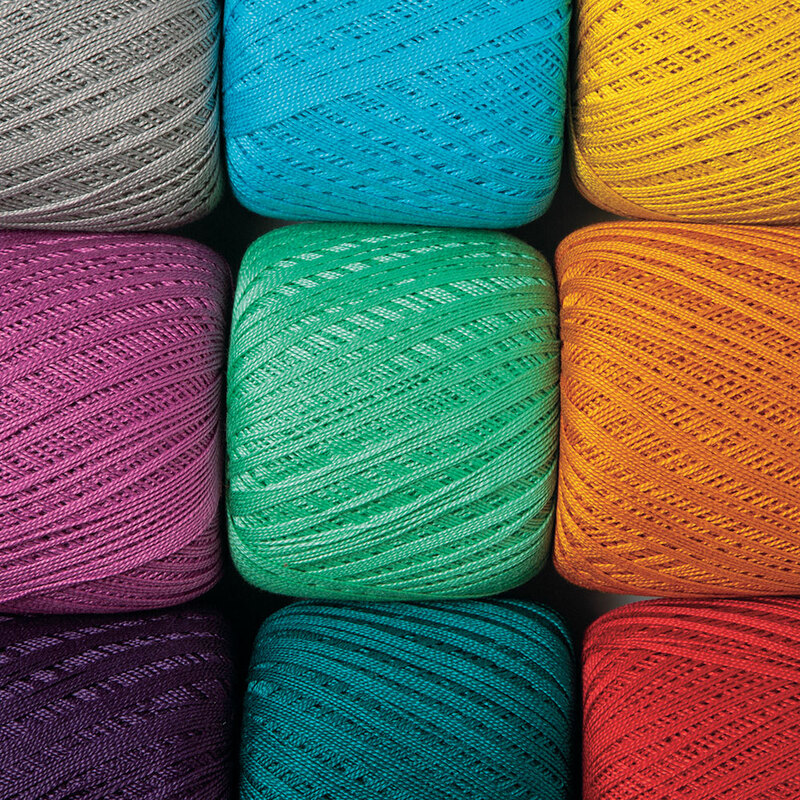 This mercerized, 2-ply #10 crochet thread is available in a brilliant range of shades: a selection of rich reds, blues, greens and yellow are accented with a soft pinks and purples as well as dreamy sky blues and sea foamy greens. Rounding out this palette of traditional and delightfully unexpected hues is a lovely selection of neutrals and basics like black and white. 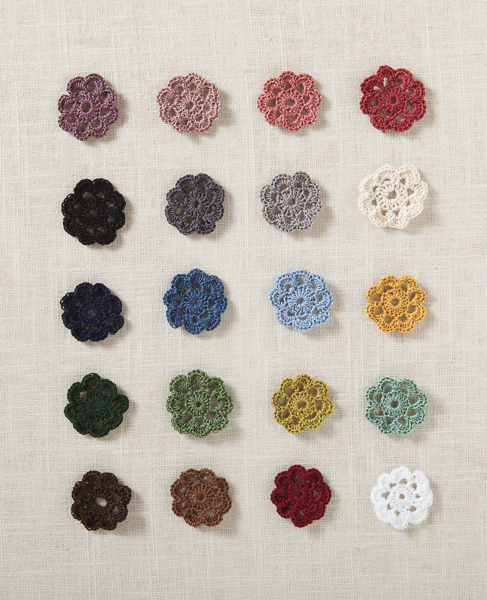 This luxe #10 crochet thread is ideal for crocheted home décor items such as doilies, coasters, table cloth, curtains, and more. 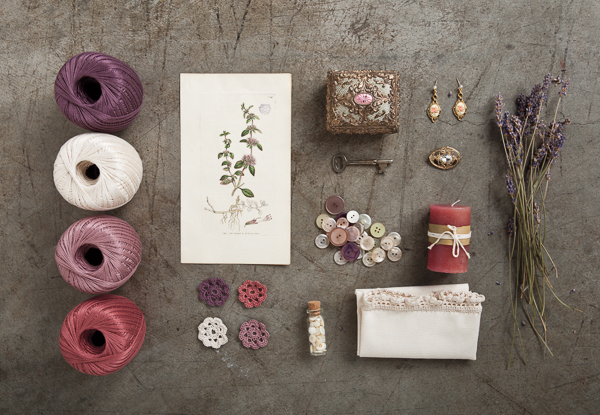 A crisp stitch definition highlights intricate stitches and textures with a lustrous sheen. 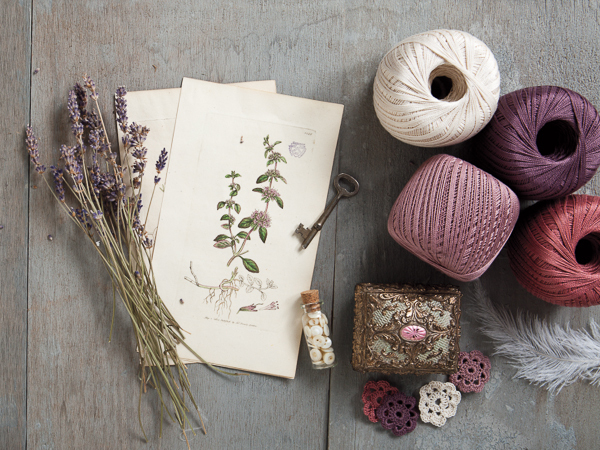 And don’t forget, you can use Curio for knitted lacework as well! 100% Mercerized Cotton. By far my favorite thread! Quality item. Oh yes! More colors, please. Don't ever go away. I have made a few tablecloths now with this thread. It is the best thread I have ever worked with. Please expland your colour selection as I plan on buying much more. My new favourite. I so much love the curio yarn. Please, please bring back all those beautiful colors. I am so sad, that I missed getting some of them, and I also second Lisa's request for rust, olive, blue and lavender. This is by far the best cotton thread I’ve ever used, it’s the only fiber I use, and I would be so sad if this were being phased out. Please, please, please don’t discontinue it. Please do not phase out Curio!!!!!!!!!!!!!! Give us more colors instead !!! I will say it again, more brights, bolds, and pastels are needed of Curio!!! !